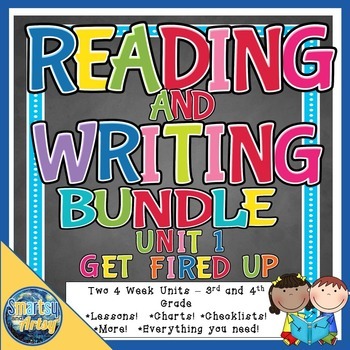 This bundle contains everything you need to get your students fired up about Reading and Writing and get your year off to a great start! 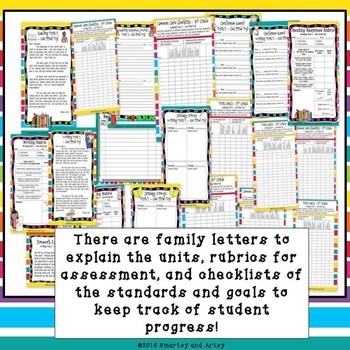 There is a 20 day pacing guide for each unit, along with lesson plans, resource sheets, charts, rubrics, and unit goals! 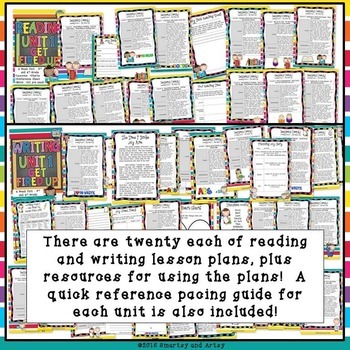 The entire Reading Unit 1 and Writing Unit 1 are included! 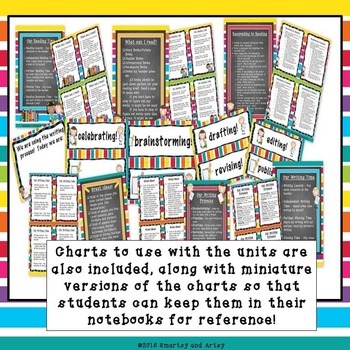 If you like this reading unit, you might also like Bold and Bright Room Decor Bundle - Everything You Need to Get Your Room Ready! Thank you for shopping at Smartsy and Artsy! Like this product? Share with others! Pin this product on Pinterest so others will find it! Start a new board for Smartsy and Artsy products or add it to an existing board! Just click on the Pin It button on the left side of this page and share with others! Thank you. Keep up with Smartsy and Artsy! Learn about our new products, sales, and discounts! Become a follower of Smartsy and Artsy by clicking on the green star on any of our pages and receive email updates in your TPT inbox.